Still not required by law but becoming more fashionable for good reason, helmets are on the up. In-fact, according to the Times, more than 70% of us now wear them! No matter how long you've been skiing, it's always advised to wear one; there are so many benefits. Most of the time it's there to protect you from yourself but it's always worth knowing the other reasons that you should wear one. To avoid being one of the above 'people', you should always; show courtesy to others, use your common sense and have good personal awareness when on the mountain. After all, everyone just wants to have a good time right!? They also provide comfort, warmth and reassurance to parents! They cover cold ears and keep heads warm, some helmets come with fluffy liners to increase the warmth and comfort. A little over the top, but there are people that struggle to stay warm in cold conditions and look for a special lining when buying a helmet. If however you are the opposite and suffer from over heating, helmets with vents, allow air in which then circulates, keeping you cool and comfortable. There are also fun accessories should you want to put a twist on them, like the helmet hats below. Most, if not all of the ski world have heard about Michael Schumacher's ski accident in 2014. He was wearing a helmet when he fell and hit a rock skiing in Meribel. The doctors said he would have died there and then if he hadn't been wearing one. A very similar scenario occurred to an ex member of staff in Austria around New Year. 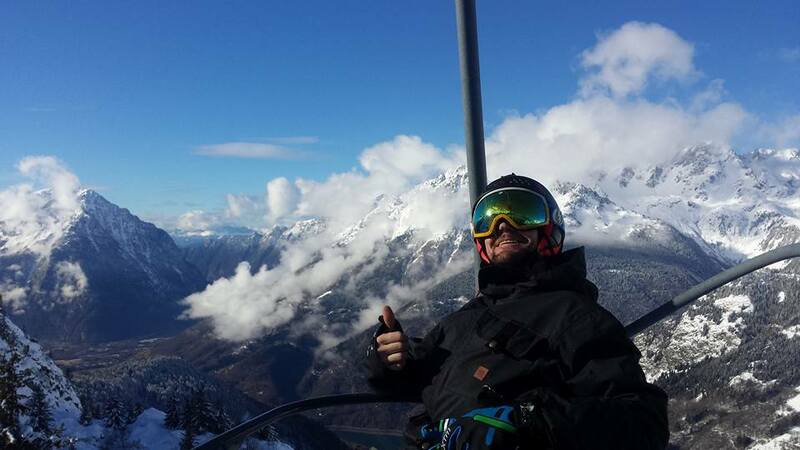 Luke Wilson who was our chef in Rostaing last year had a bad fall onto a hard icy piste. He was wearing a helmet too but that wasn't enough. Luke was hospitalised for 12 days and is still recovering from his injuries. Take a look at the very sobering video below he made whilst in the hospital asking people to always wear a helmet. Sending you well wishes from all of Vaujany and Ski Peak Luke! Last week we heard of a story where two people were skiing very close to one another. The person in-front (person A) fell over and the person behind (person B) didn't have enough time or space to avoid them. B ended up skiing over A's face! Luckily A was wearing a helmet and goggles which meant that the injury sustained was only a small laceration to the cheek. However, A believes that if they weren't wearing the helmet and goggle combination they could have lost an eye and had a much larger laceration. This is backed up by the ski world with statistics showing that whilst the amount of head injuries hasn’t gone down following an increase in helmet usage, surface injuries like facial lacerations and skull fractures have reduced by up to 50%. In a lot of cases, whilst not preventing head injuries, the helmet does reduce the severity of the injury. Head protection can greatly improve your chances of not suffering serious injury if you fall. Whilst they improve your chances, helmets are not 100% effective and you can still get injured if you fall at high speeds or in a head-on collision. Most importantly though, ski safely! Whether or not you are wearing a helmet. Always ski within your ability and make sure you are aware of what’s happening around you. The best thing you can do is try to avoid situations where you could end up getting in an accident.